ETERNAL Branford Marsalis Quartet SIGNED CD!! 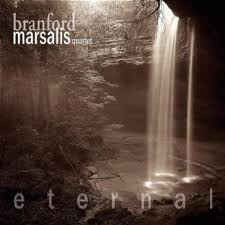 With Eternal, Branford Marsalis delivers an all-ballad album. The tunes include seldom-heard numbers like "Gloomy Sunday" and "Dinner for One Please, James," and some original compositions. The quartet includes pianist Joey Calderazzo, bassist Eric Revis, and drummer Jeff "Tain" Watts. On tenor and soprano saxophone, Marsalis summons expressive depth. The result is very moving Jazz from recent years! 2004 Rounder Records CD SIGNED by Branford Marsalis! !